If there's one thing that is becoming more and more common place amongst Golf Managers, it's increasing frustration with third party tee time marketing. Vendors make big promises about their online booking markets saying you can improve course occupancy, get rid of low selling tee times, and improve visibility while turning a good profit. Unfortunately in a lot of cases these promises just don't come true. Many courses that have gone down the third party tee time marketing route have seen disappointing results and often feel trapped into using a bad tee sheet or golf POS. What's the point of using a third party provider if they don't actually broaden your exposure to potential customers? Golf course managers already have good access to their existing database and markets, especially if their golf POS and online tee sheet can store customer emails and send mass emails to customer database. Any third party provider that markets directly to your customer database should be disregarded immediately - don't let them cannibalize sales from your loyal customers. Instead, a good third party reseller will be able to connect your course with new golfers who don't know about your course or wouldn't have previously considered your golf facility before. Doing this research can help give you an idea of which third party tee time seller is best while giving you an idea of whether these providers will connect you to new audiences while integrating with good software. Some resellers won't allow you change your prices and lock you into to an inflexible situation whereby you can't make adjustments as the season progresses. Not to mention that some third party resellers are known for deeply undercutting prices that they force golf course to lock in, sometimes by up to 60%. This can cause devastating cannibalization and even threaten the financial stability of a golf course. Does the reseller allow you to choose when your discounted tee times will sell on the market place? If your goal is to sell off tee times at a time of day that is less popular, you want to make sure this option is available. Don't go with a reseller that will only fill up and potentially cannibalize revenue from the best tee times of the day. Let's face it, some third party resellers are so big they come off as impersonal bullies that small time golf course managers are forced to deal with. This doesn't have to be the case if you do your research. Look for a third party market that serves its customers well, has a good reputation, and doesn't take advantage of the little guy. Doing your homework, and talking with other golf managers are ways to research the information you need. If you are going to go with a third party reseller, don't get caught up in a long term contract. Getting involved in a bad deal you can't get out of will hurt your revenue over an extended period of time. Make sure you're allowed to test the waters with your potential reseller otherwise the risks are just too high. This is easily one of the most important factors. If you are bartering tee times in exchange for software services, or are selling tee times at a discount over a service, you absolutely need to know how much of an opportunity cost your are gaining or losing by engaging in third party tee time marketing. Golf managers can look at certain metrics that help determine opportunity cost. Revenue per Available Round (RevPAR) compared between days when tee times are sold through resellers and days when they are only sold through the pro shop can help determine whether you are benefiting or losing. Pay close attention to how much revenue your reseller is taking, some courses end up giving huge chunks from tee time sales, sometimes up to 60%. 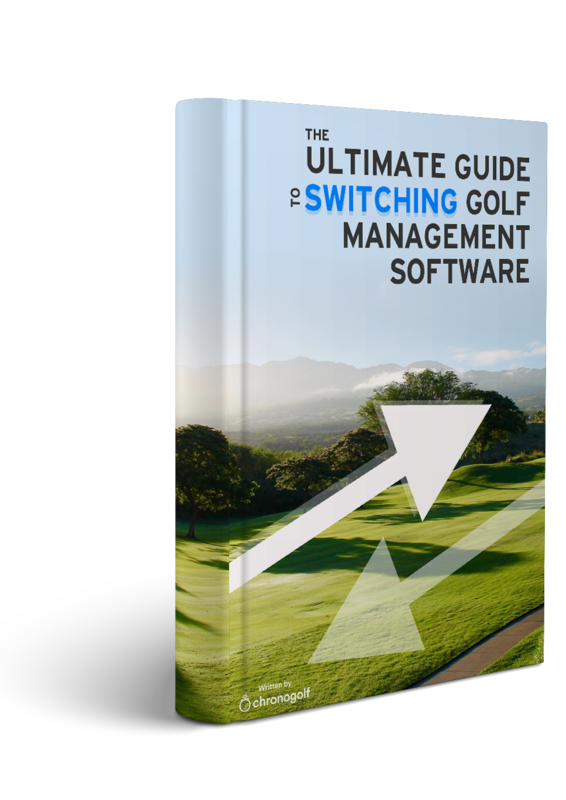 If your third party reseller provides tee sheet and POS software in return for bartered tee times, make sure that the reseller won't overly cannibalize your sales by undercutting your prices by a wide margin. Liked this topic? Check out our podcast for insights from golf industry heavyweight Matt Welliver where he unravels the complicated web of online tee time distribution. Follow us on Instagram, Facebook, Twitter and LinkedIn!